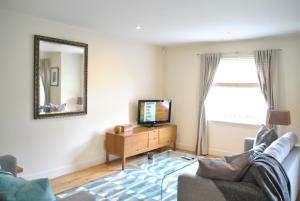 Dene House Apartment 4 offers accommodation in Windsor. The unit is 1.1 km from Windsor Castle, and guests benefit from free WiFi and private parking available on site. There is a seating area and a kitchen complete with a dishwasher and an oven. See all Dene House Apartment 4 reviews..